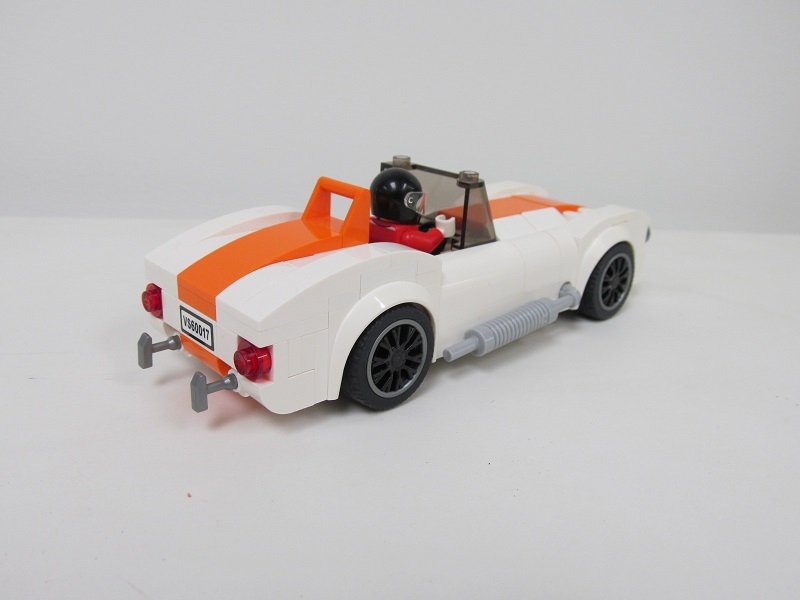 Allan's Speed Champion vehicle and building creations. 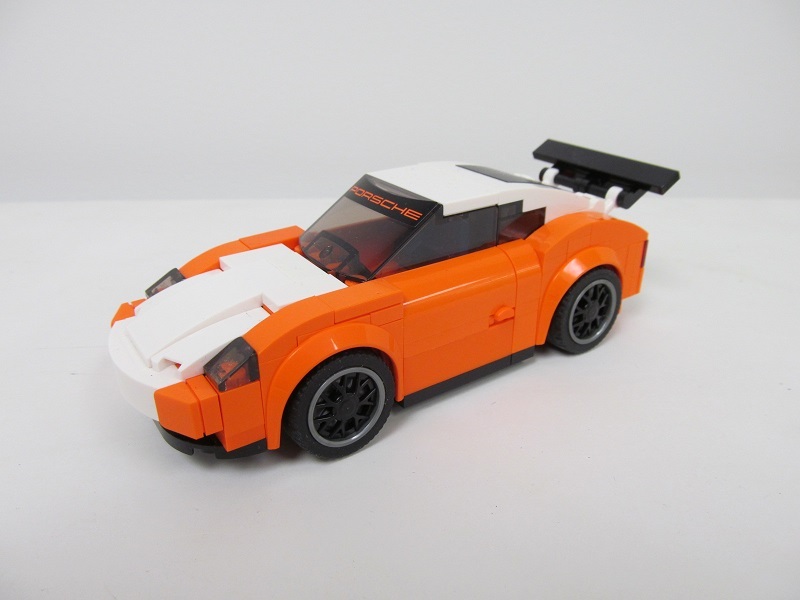 Inspired by the Speed Champions cars. 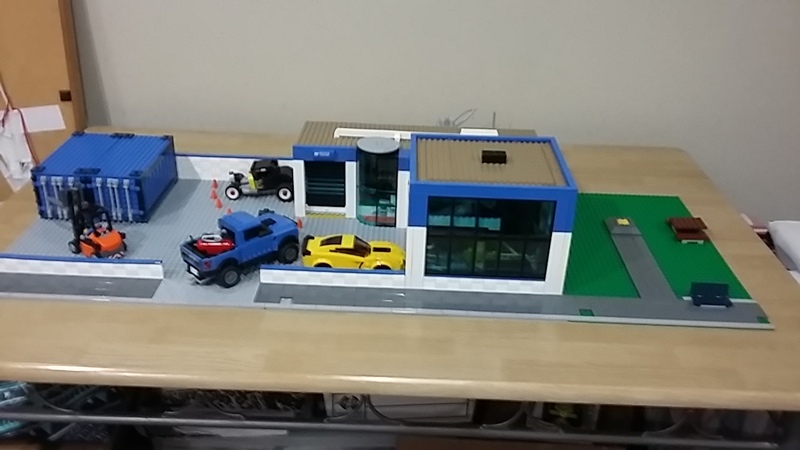 Last year I built a car showroom to show them off. 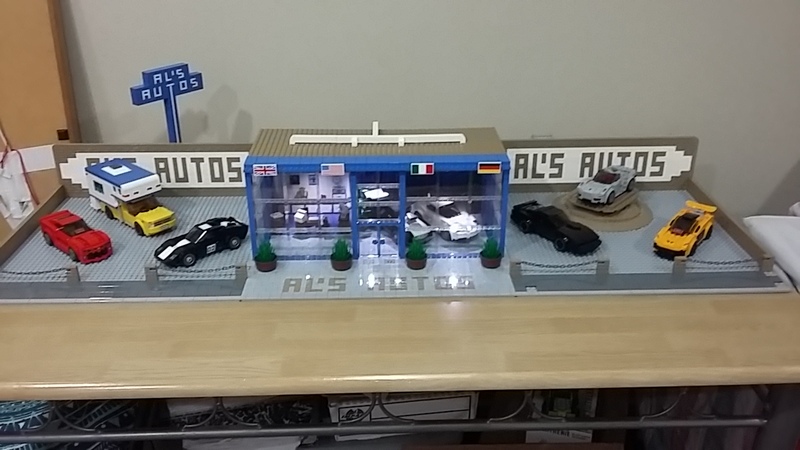 Al's Autos is built on 3 large baseplates. 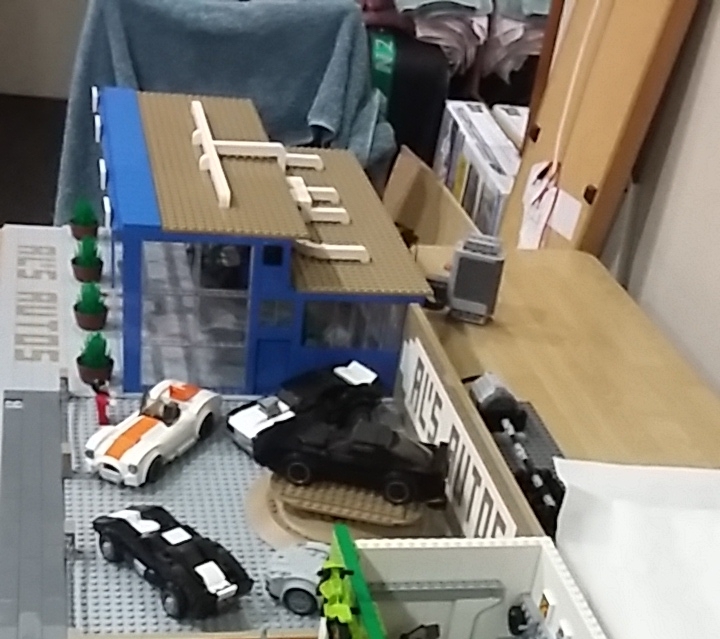 On the left baseplate the blue and white sign has doubled sided brick plate writing and rotates on a Technic turntable. The showroom has a roller door entry behind the office on the left. It is fully tiled inside and lit with PF LEDs. On the right baseplate the brown turntable also rotates on a Technic turntable. The footpath is designed to match up to the Modular footpaths. 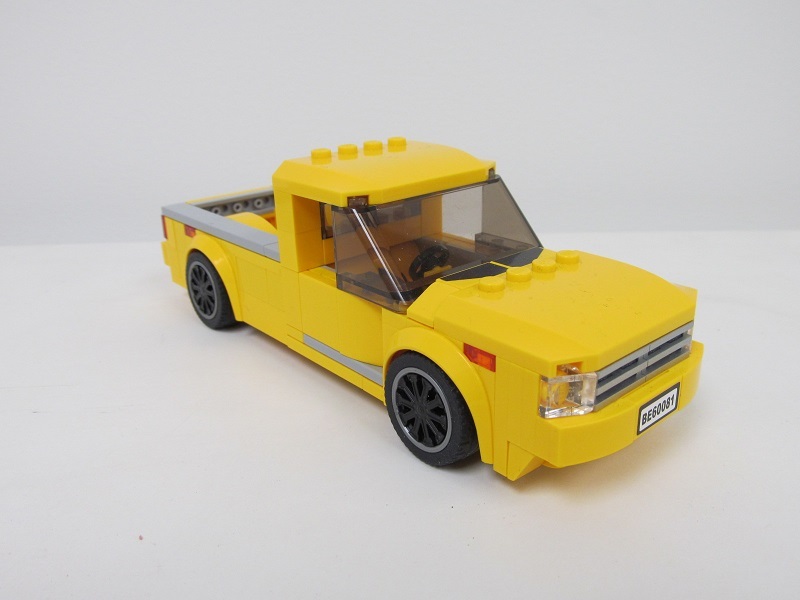 My own creation cars are a Pick Up truck with removable Camper. 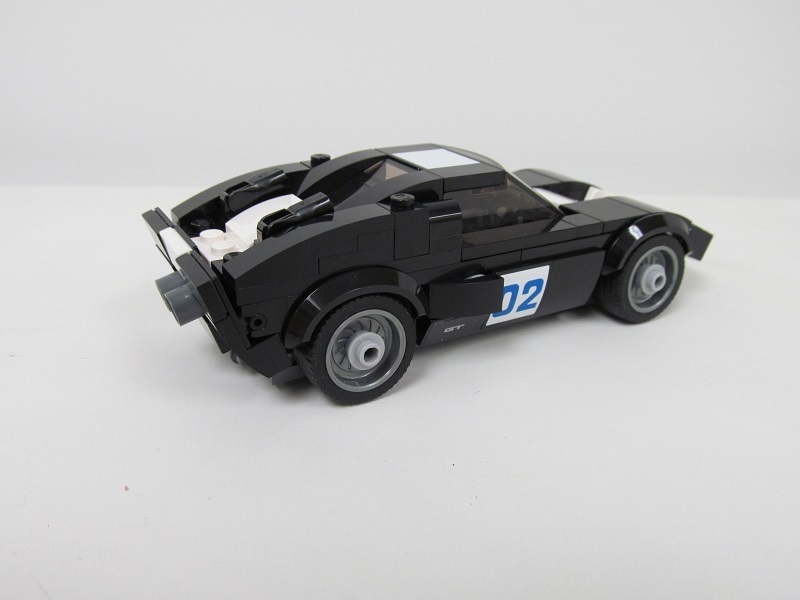 A Ford GT40 reverse engineered from a LEGO YouTube movie. 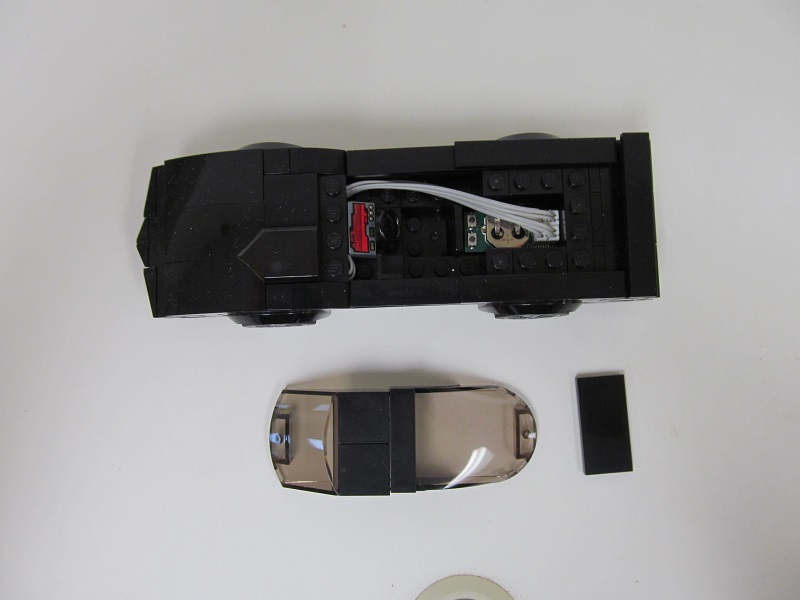 The black Pontiac is a KITT replica and has a working red LED scanner in the front. 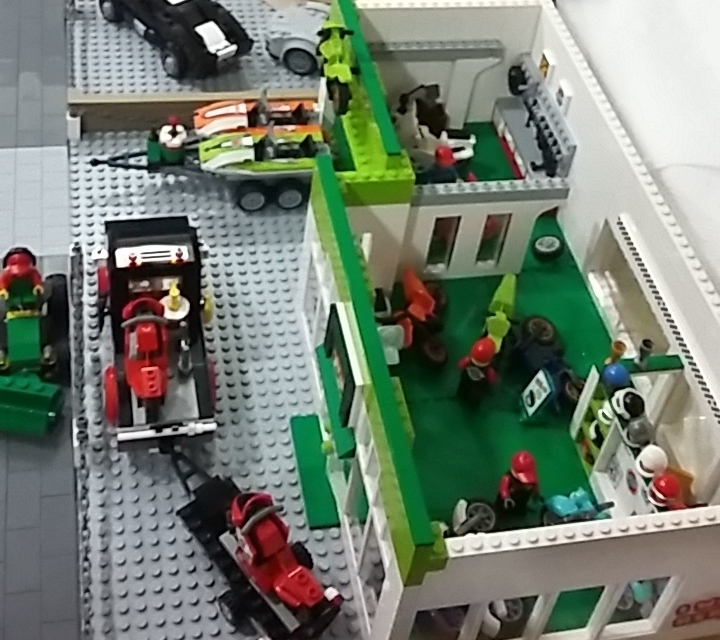 Next was a service centre / workshop for the showroom.The back section is a parts department. On the right are two service bays. 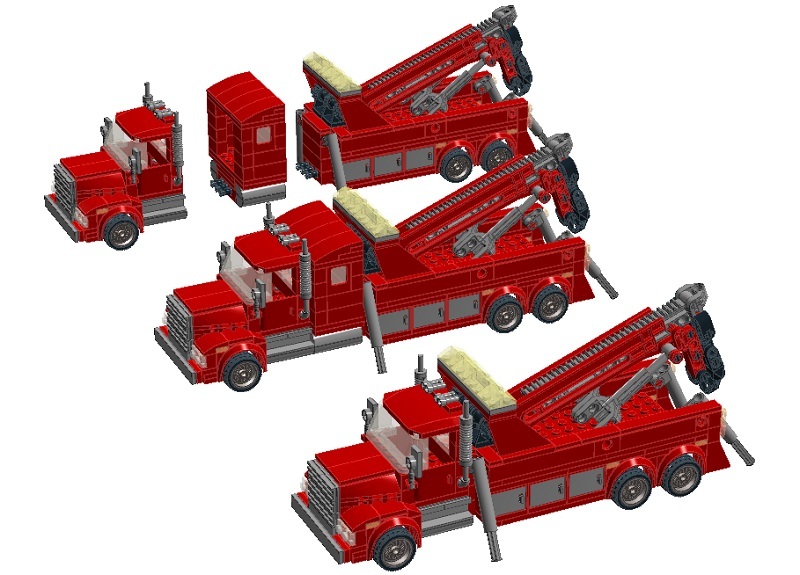 The front one has a working Technic pneumatic hoist. Also PF LED lighting. 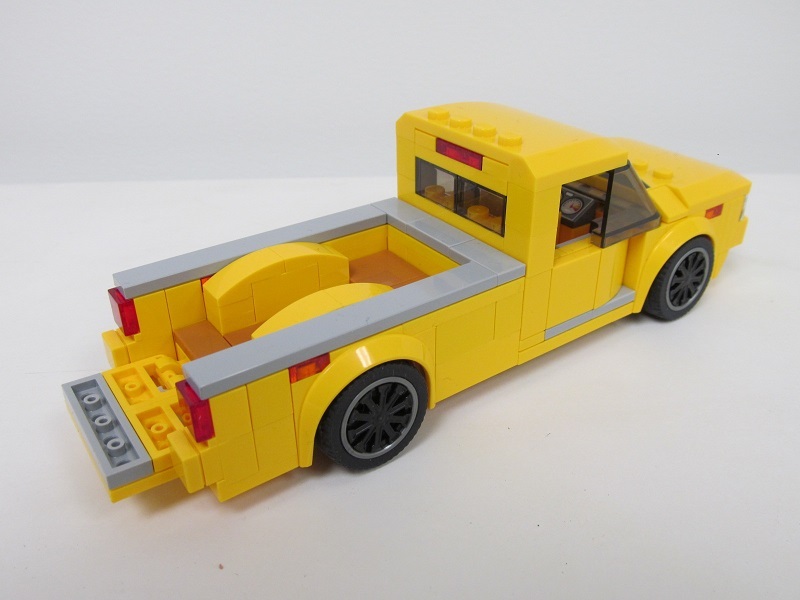 The shipping containers can fit a Speed Champions car or spare parts. 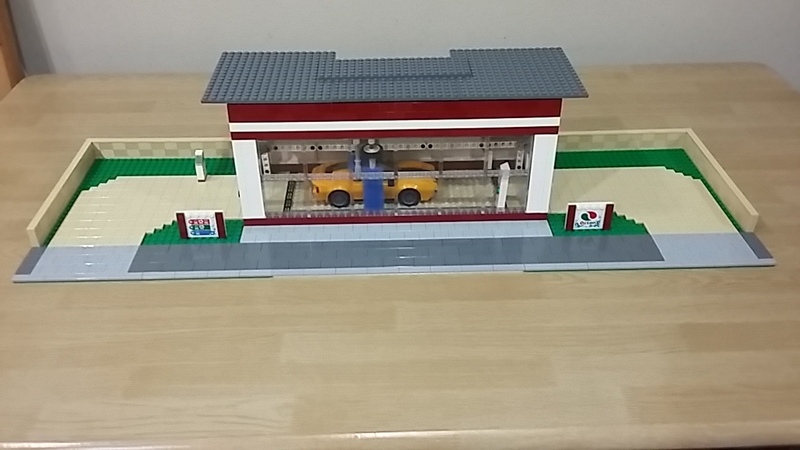 To keep the cars clean I next built a car wash. 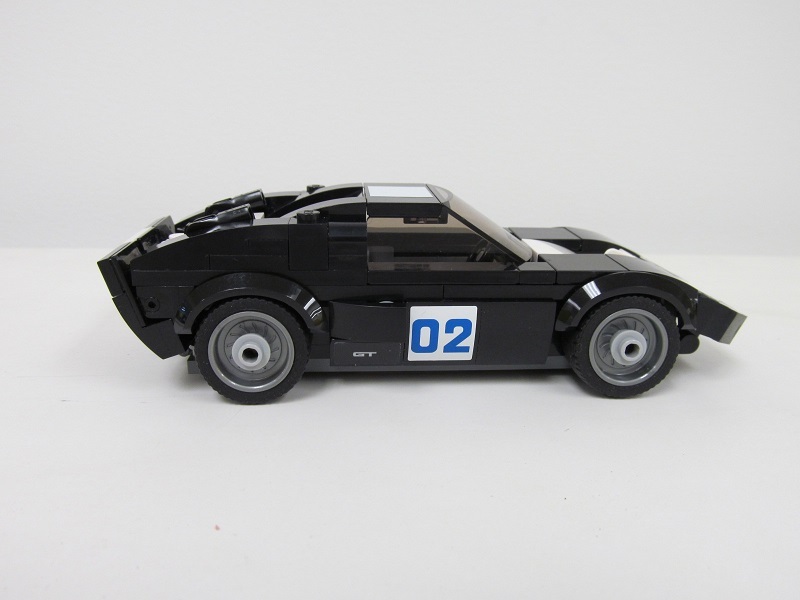 This has a working Technic based linear actuator to move the brushes back and forward over the car. So after a long day. It's off to the Drive In movies. 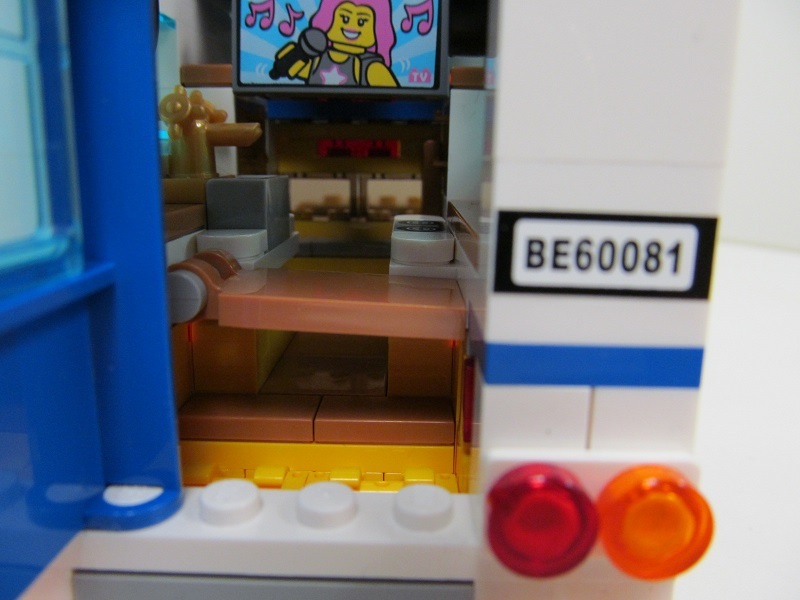 The diner has a projection room, kitchen, counter, seating and toilet. One day I will get around to doing close up and interior photos. Man these are great! I look forward to the detailed photos. Side view of showroom. 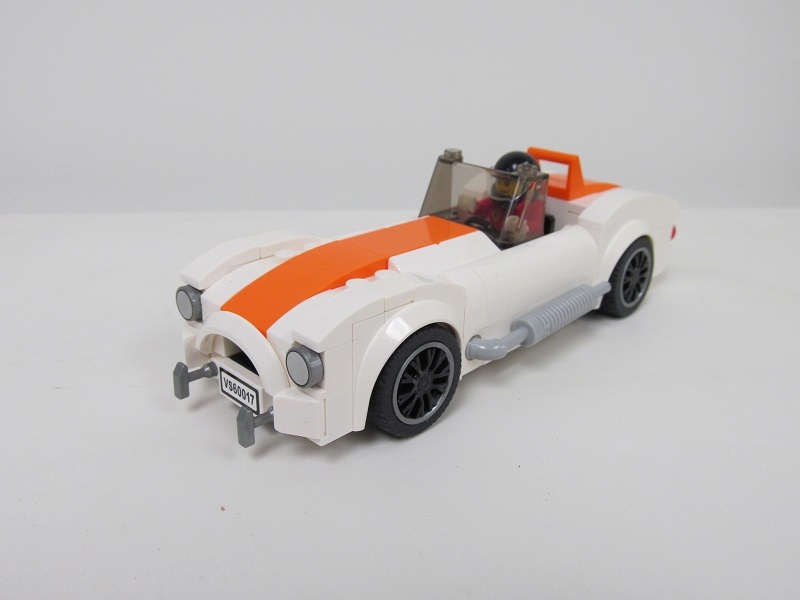 New car is an AC Cobra in white. 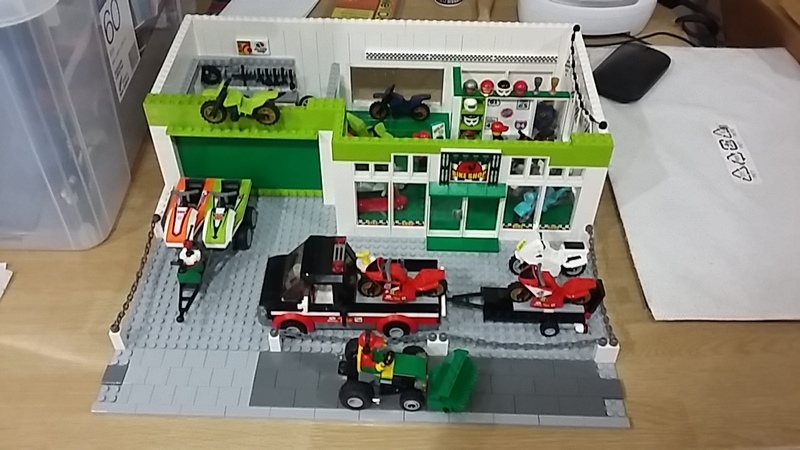 Last building built is a motorbike shop. These look pretty great! Say, what's that yellow car in the car wash? Looks like the new Ford GT from the back but the front looks different. 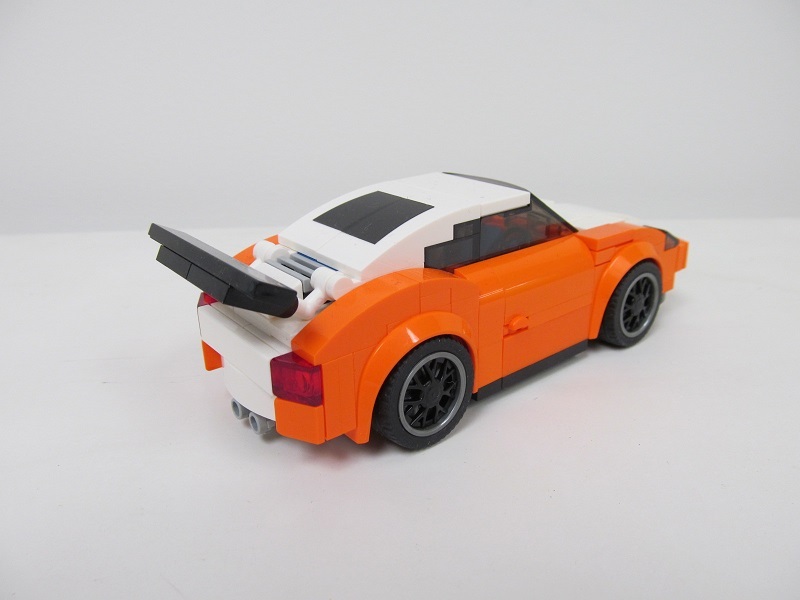 Could we get some closer pictures of the Porsche 911's please? 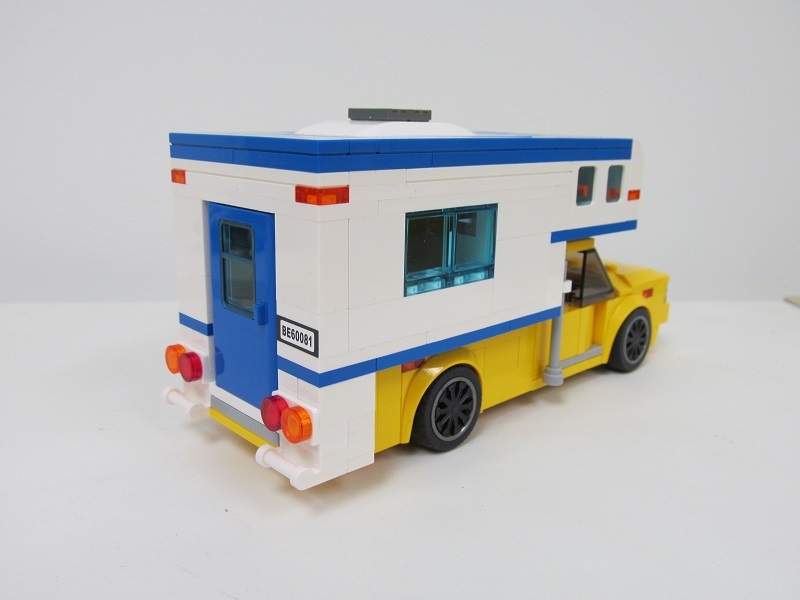 What great builds, especially the service center and the bike shop. 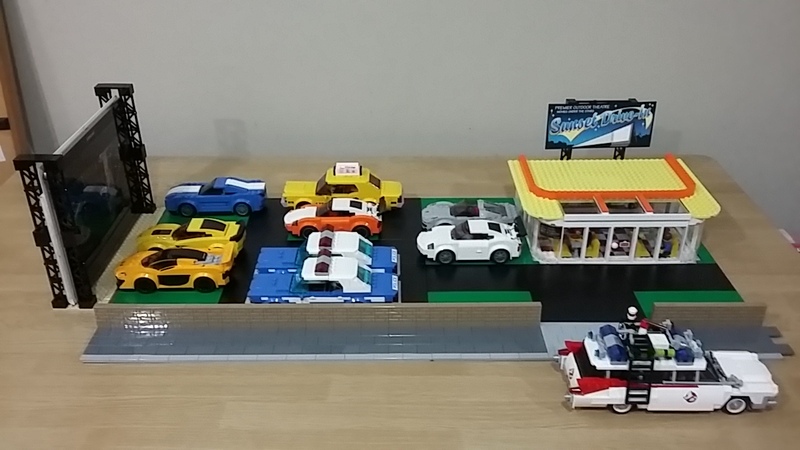 The diner would also look great in a town setup. 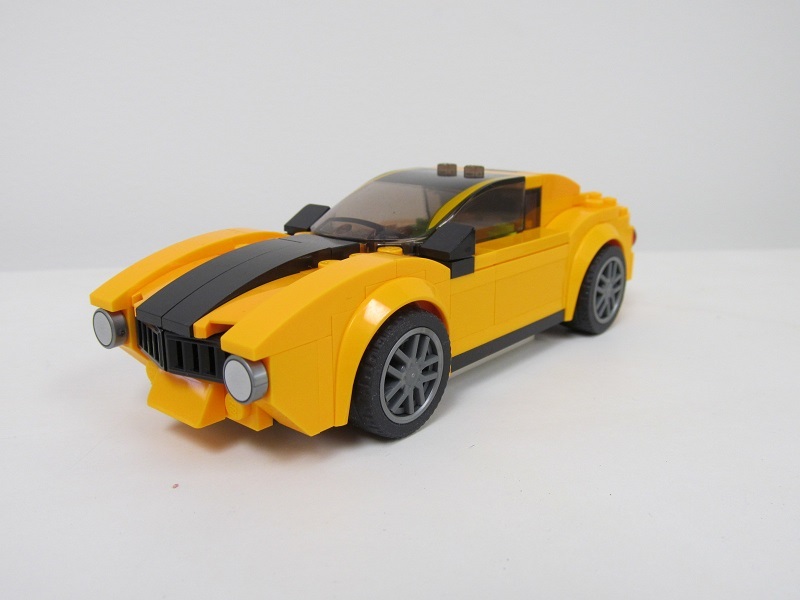 I would like to see the custom built cars close up. 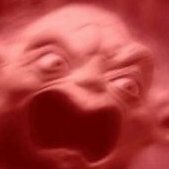 Can you make a video or something? Currently all buildings and cars are in a storage unit. Will go there today and take some photos. 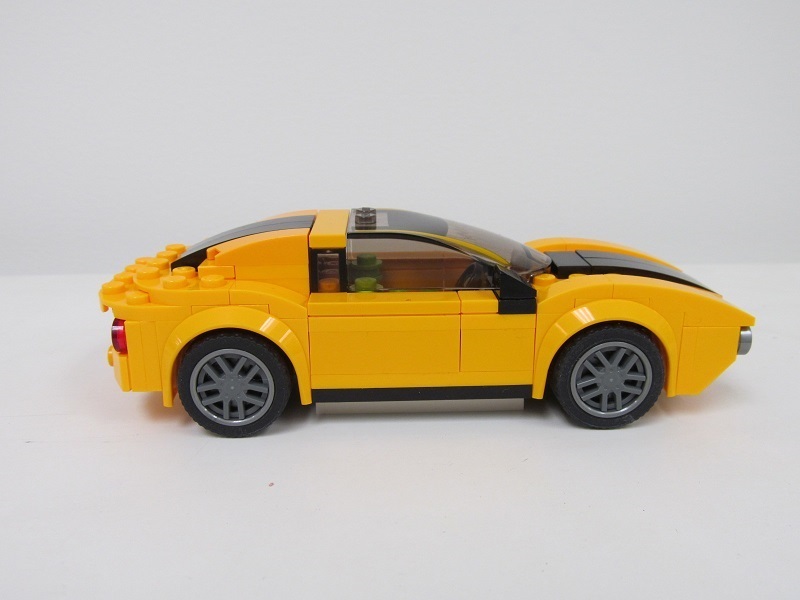 Hi, Yellow car is a MOC with parts from the McLaren P1 set. 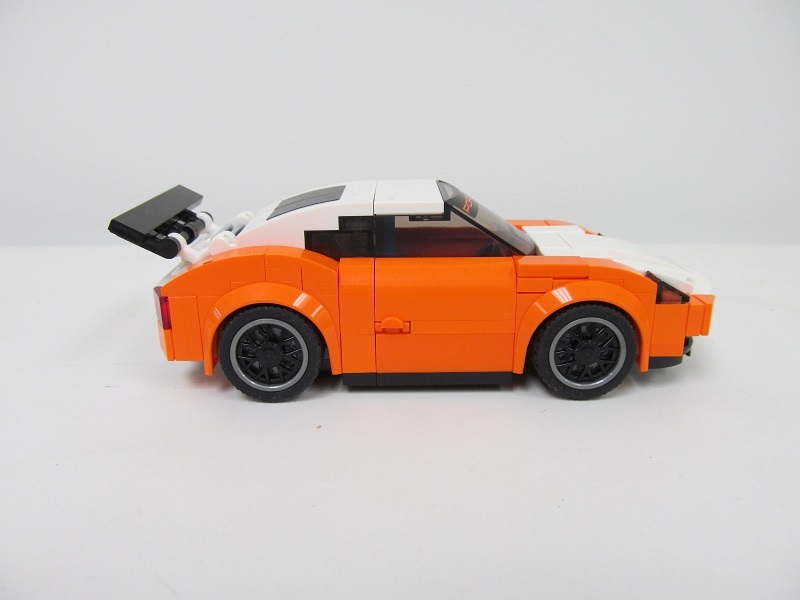 I needed a car with a curved top so that the car wash brushes could easily roll over the body from front to rear and back again, powered by a Technic motor. 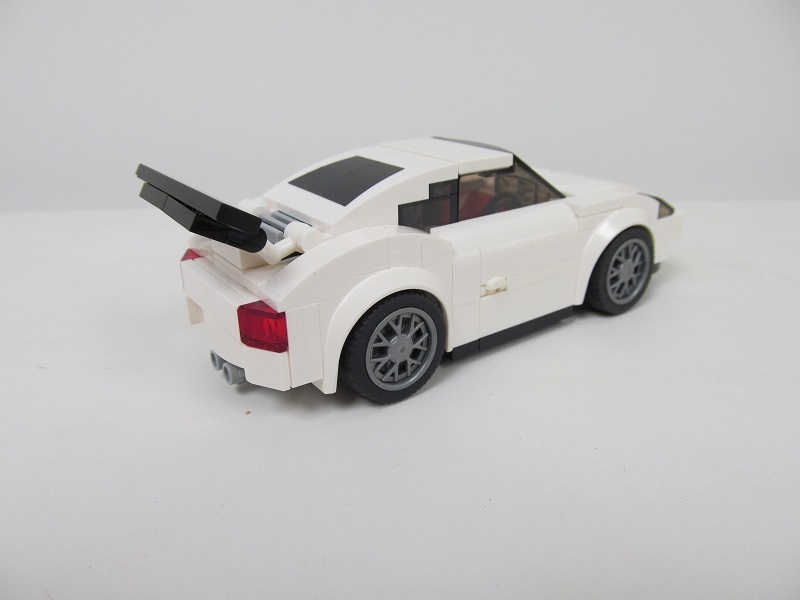 These are road versions of the Porche 911 GT Finish Line set. I changed the lights as I did not like the original front lights as they were too vertical. 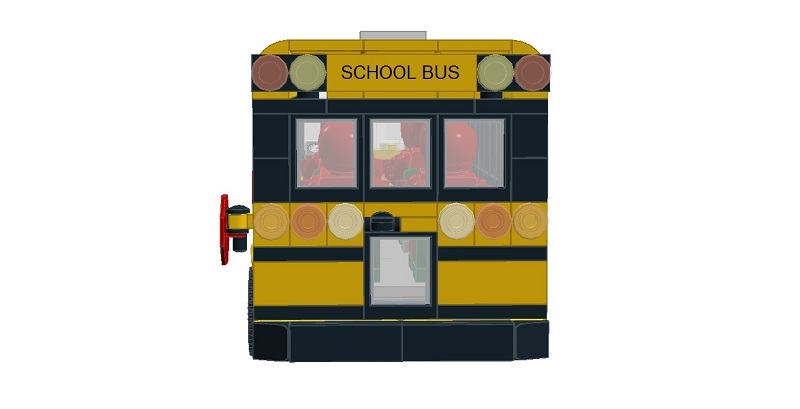 Also added door handles made from minifig skates. 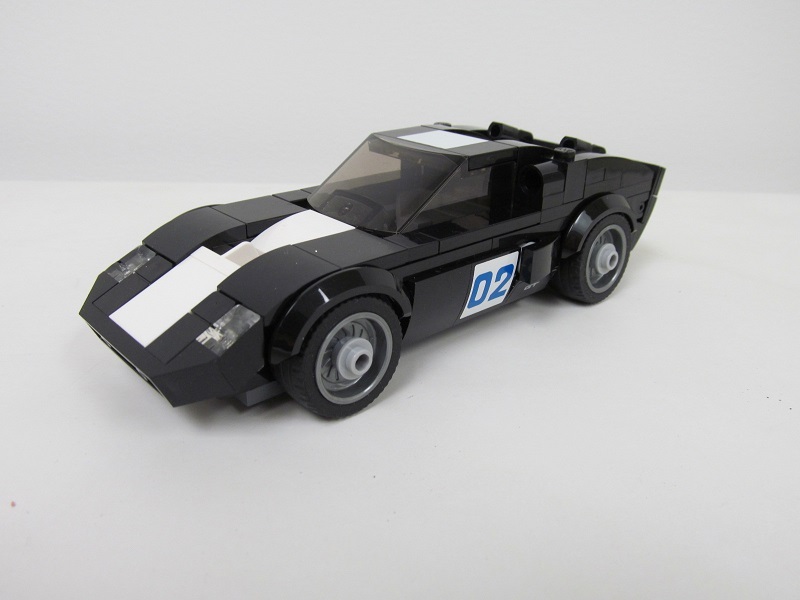 Photos below of MOC cars using Speed Champion mudguards (fenders) and wheels. 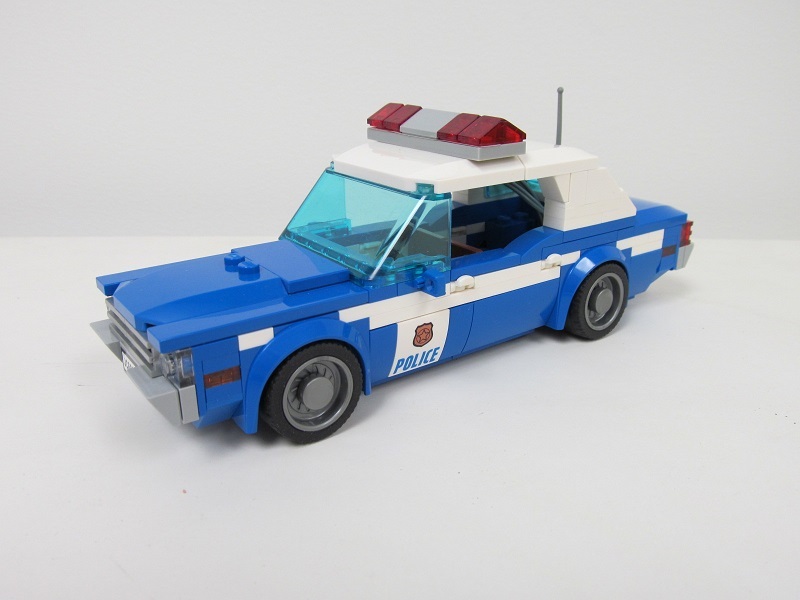 New York Police car based on a 1977-78 Dodge Monaco. With working LED light bar. 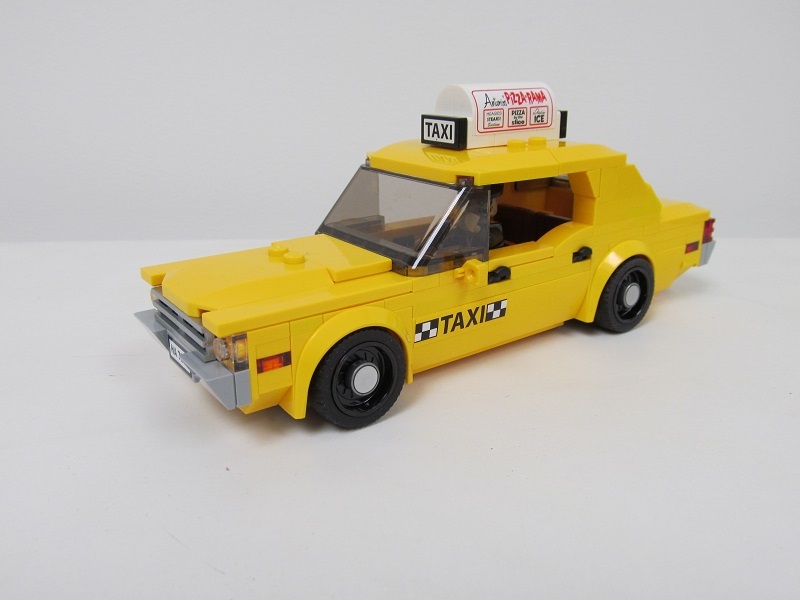 New York Taxi based on a 1977-78 Dodge Monaco. 1966 Fort GT40 built last year. 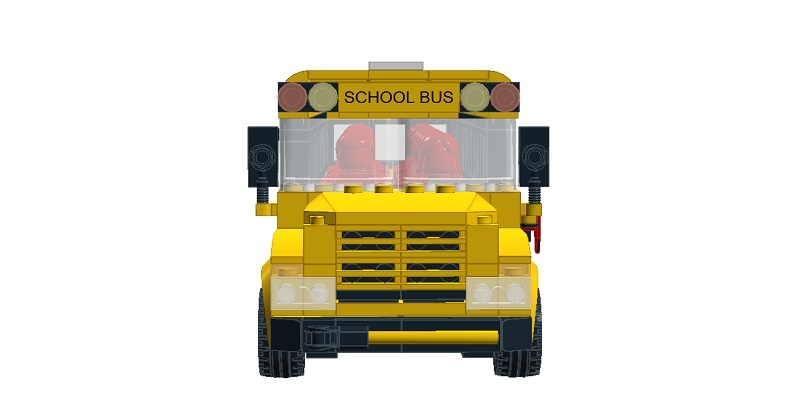 Based on LEGO.com Youtube video. 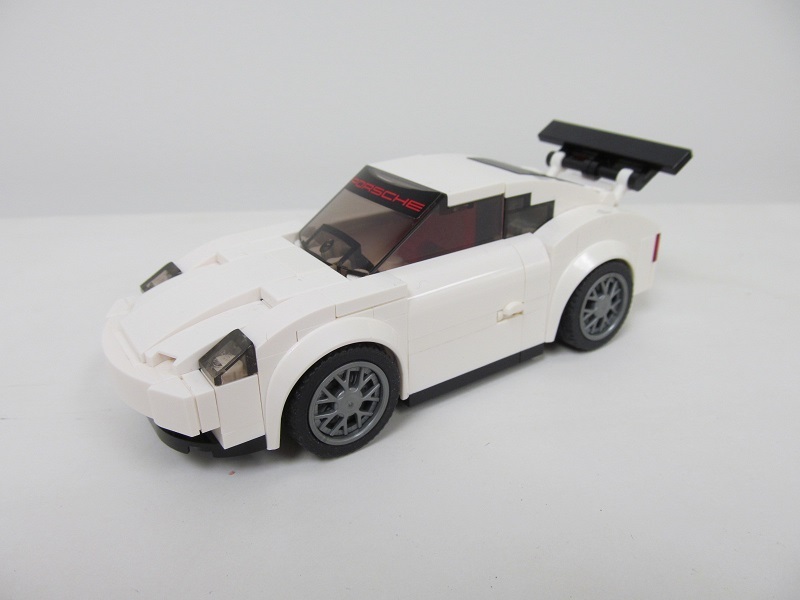 Now official set is here will remove number and turn it into a road version. 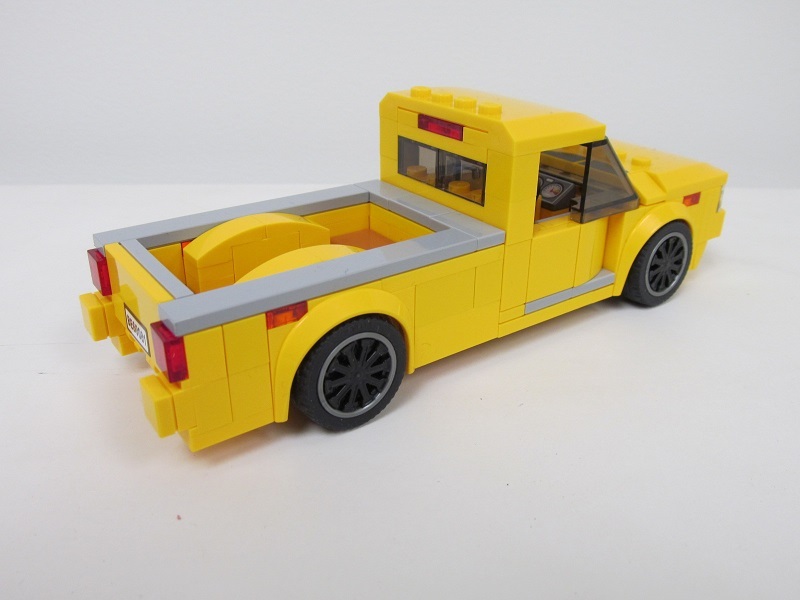 Pick Up truck with removable camper. 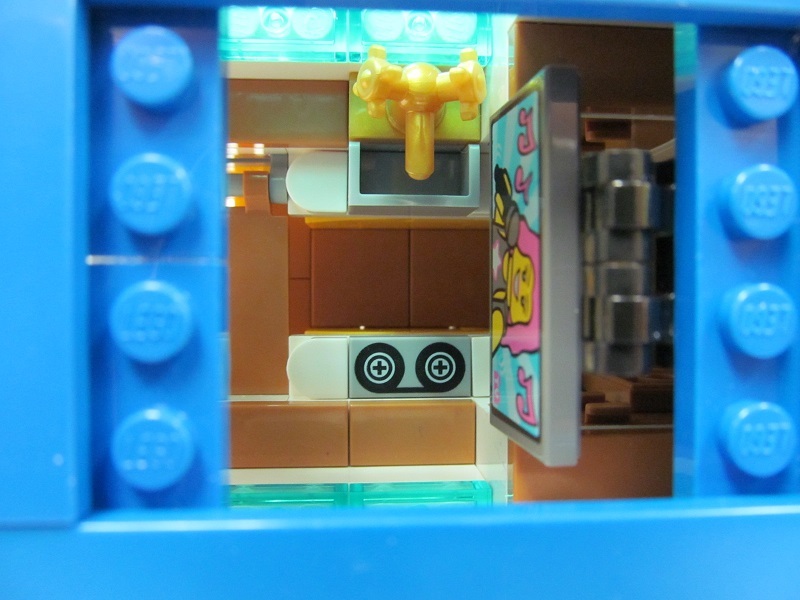 Fully detailed interior. Sink, cooker, drop down table, drop down TV, 2 cupboards and an overhead bed. I hope you have enjoyed these builds as much as I did when making them. Also added door handles made from minifig skates. Nice work. These are some really good looking cars. 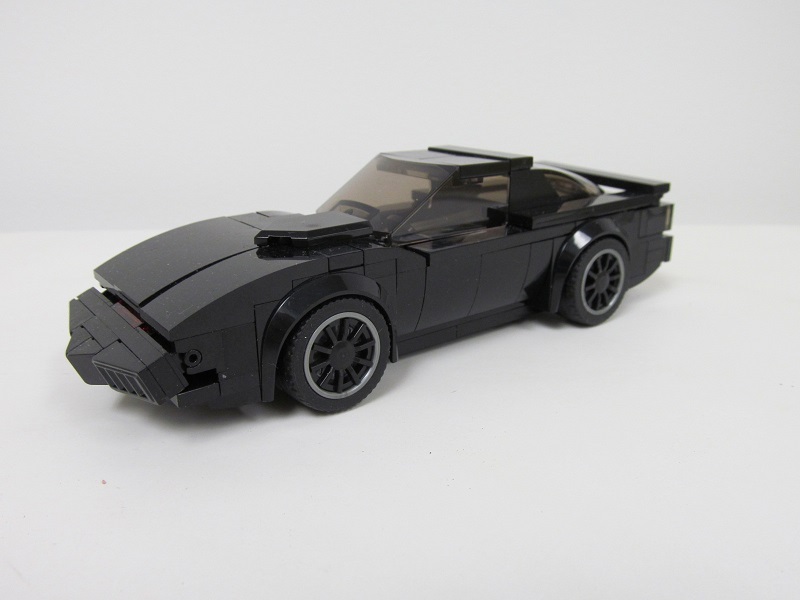 Great work, I love all the builds but especially KITT. 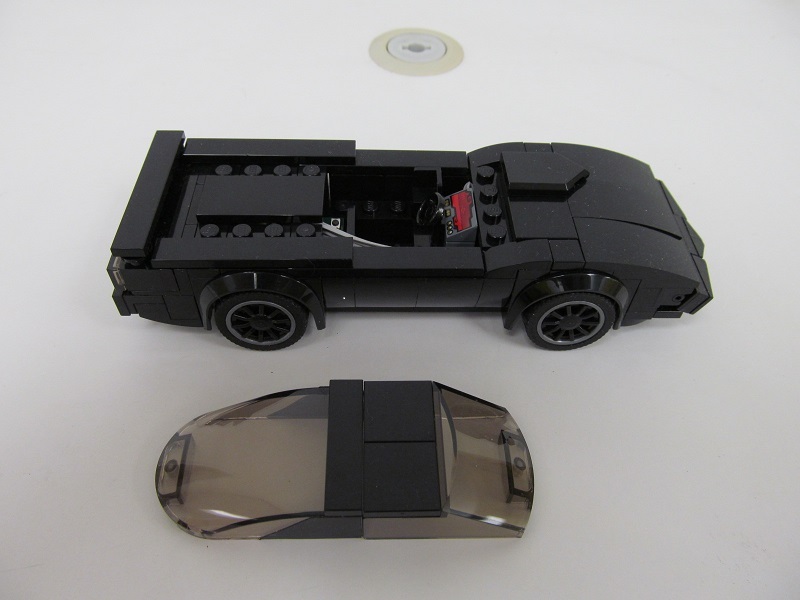 I'm not much of a car builder, so I'm always impressed. But these are especially impressive. The buildings also work really well for a layout. 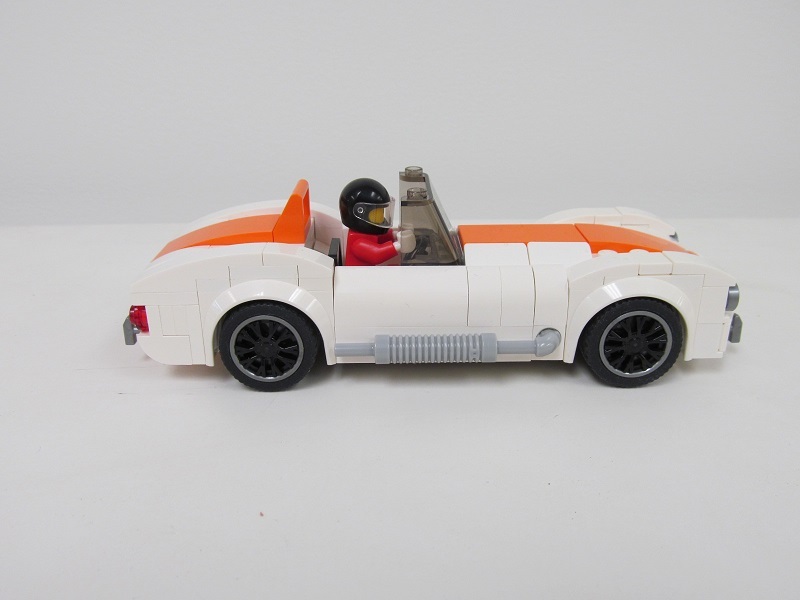 I really like the AC Cobra. 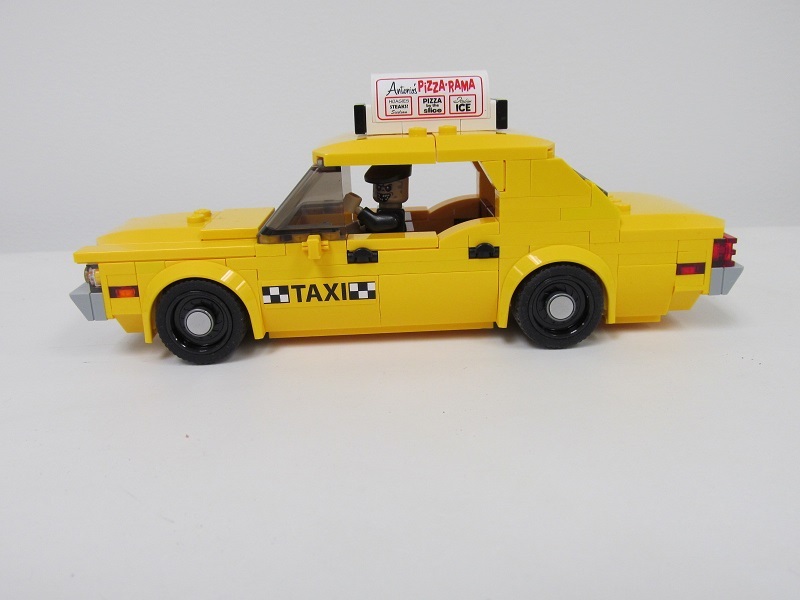 I'd love to build my own minifig scale-ish one sometime. 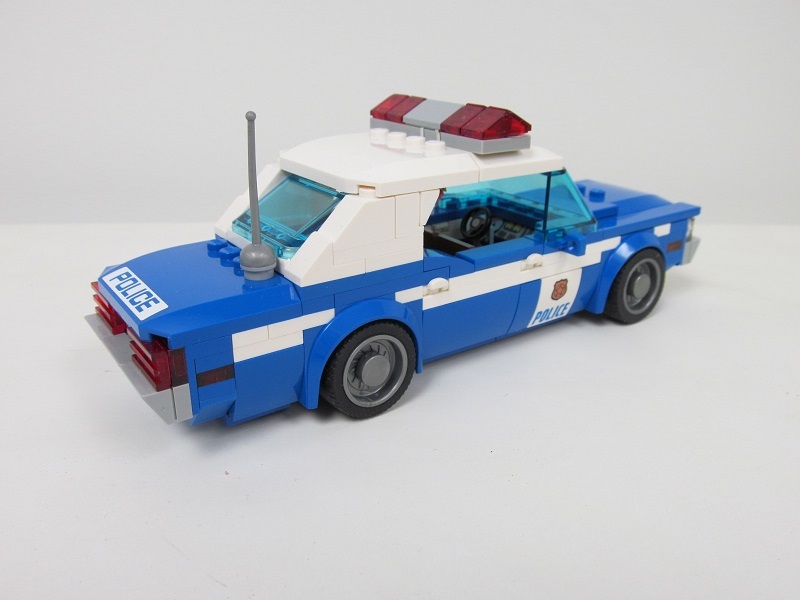 I also really like the police cars. They definitely look retro enough. 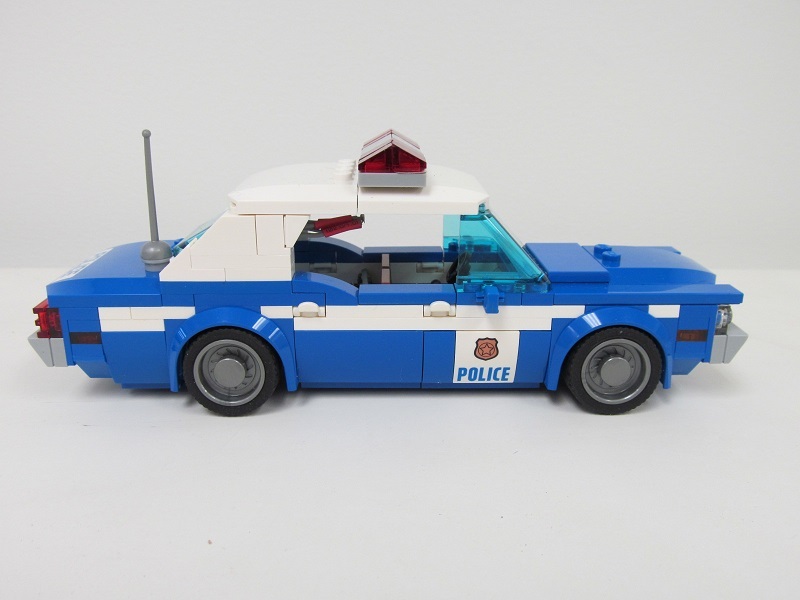 What did you use to light up the police cars? 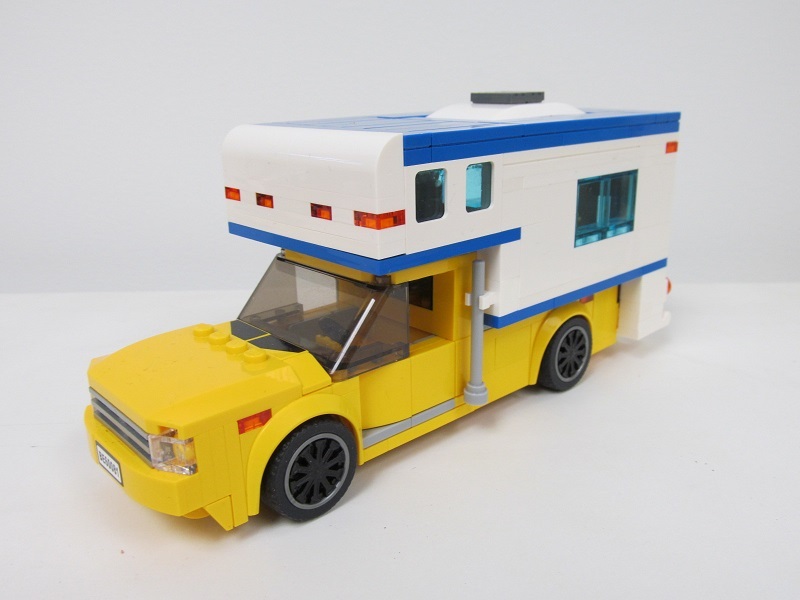 That sounds like fun for a MOC at a LEGO show sometime, so I will want to look into that. Hi, thanks for the great comments. The LED lights on my vehicles are from LifeLites in the USA. I have just uploaded a Youtube video of our July 2016 display at the Taupo Hobby Expo in New Zealand. You can see police cars and KITT replica, lights going. This year in July my car showroom, service centre, car wash, drive in and motorbike shop will replace the amusement rides. 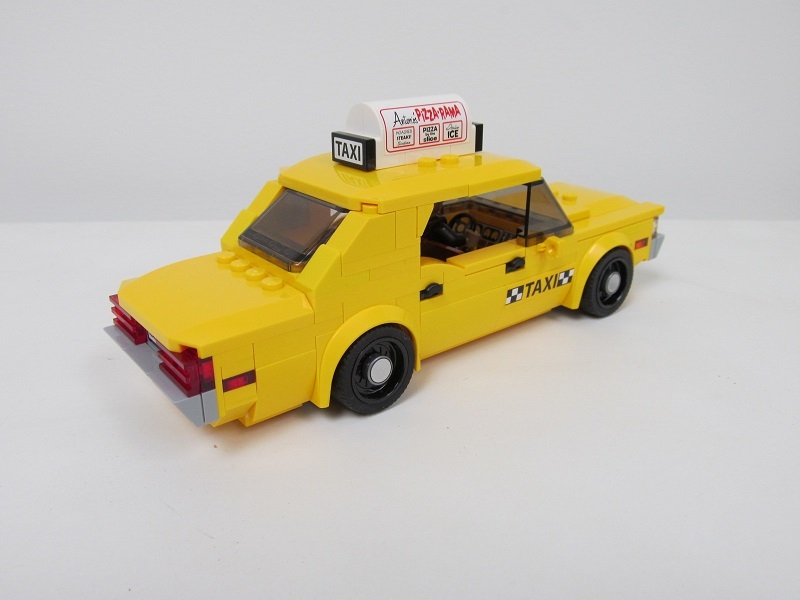 Also links to my NY Police Car, NY Yellow Taxi, Ford GT40 LDD Extended mode .lxf files. 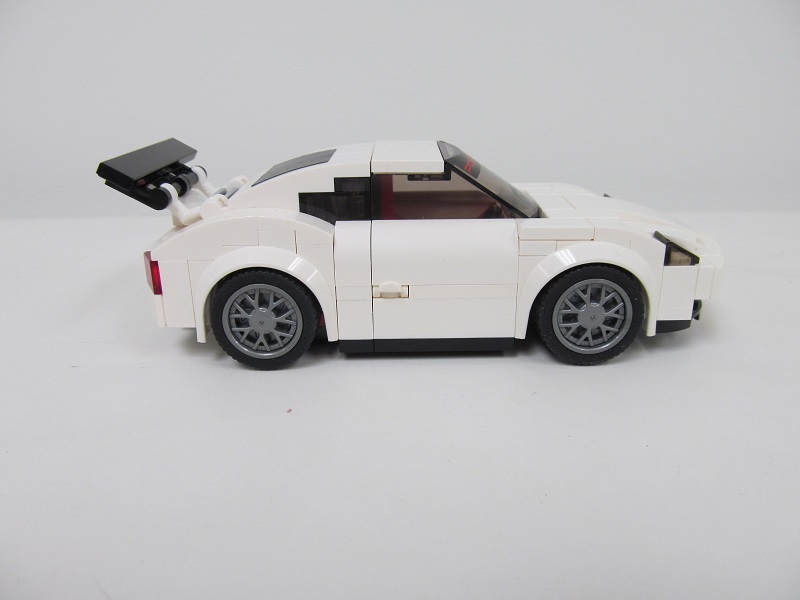 Designed over the last few days, just have to BrickLink parts needed. Will install red flashing LED lights in the top corners. 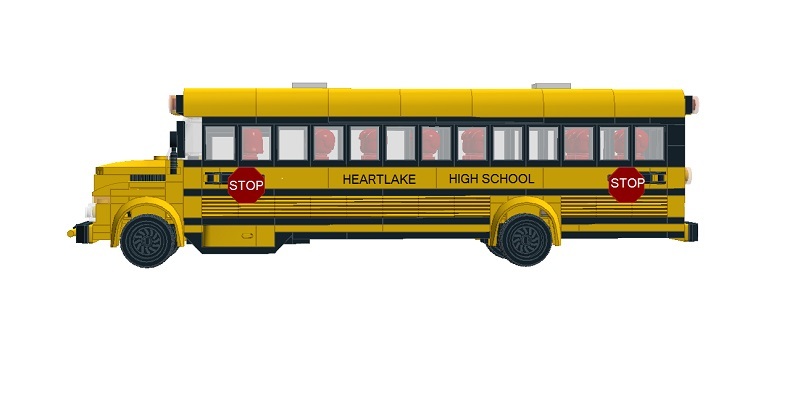 School bus is 99% finished. 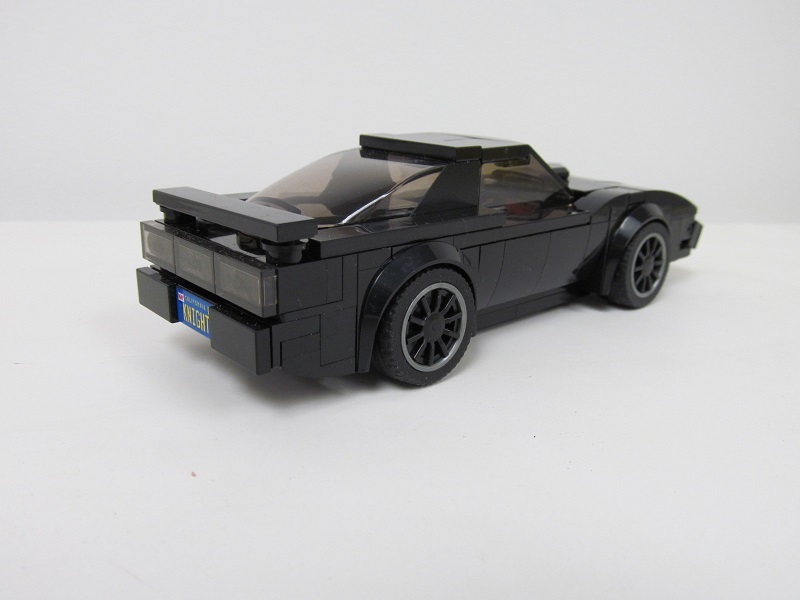 Just waiting on some grooved bricks and round tiles for tail lights. Also need to put in an order for printed bricks. 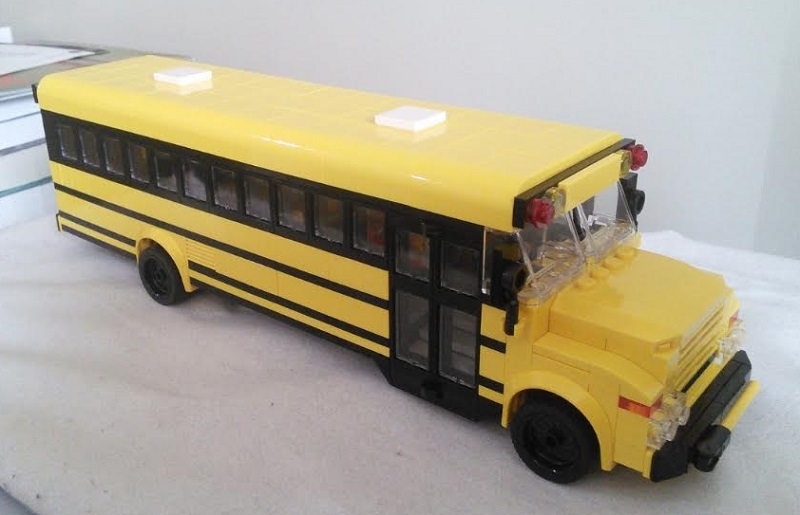 School bus is all but finished. Just waiting on printed tiles and bricks. 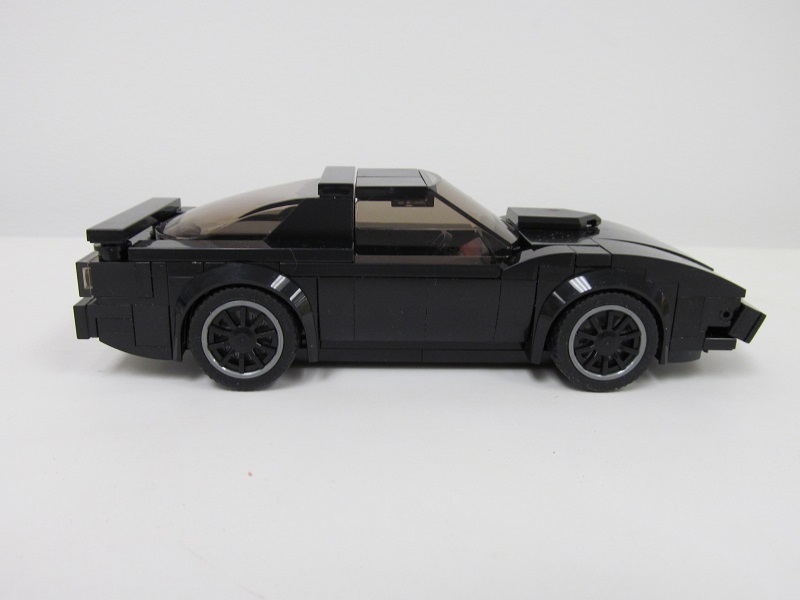 So I have started on my next project using Speed Champions wheels and mudguards (fenders). 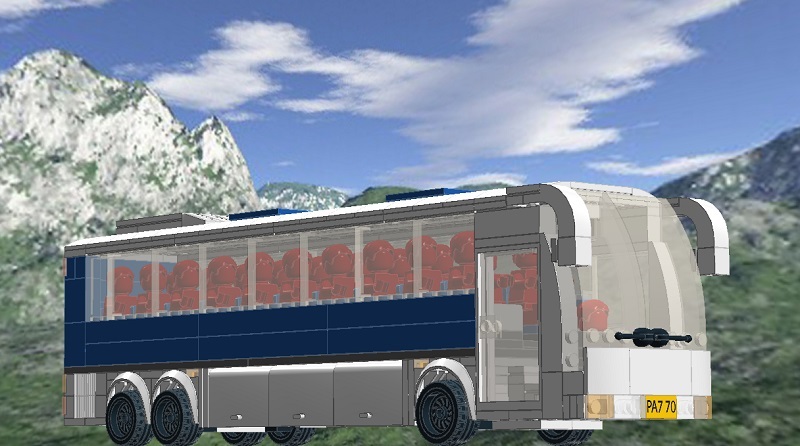 An 8 wide Tour Coach. 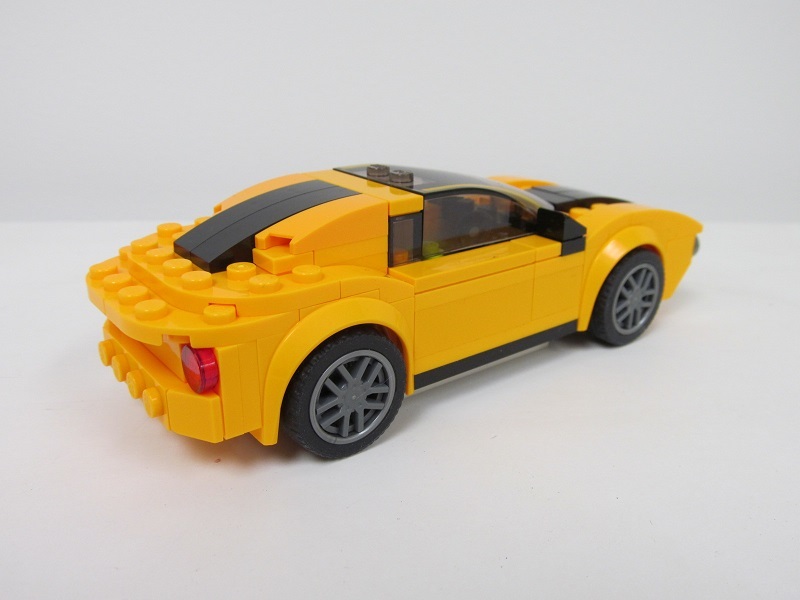 It could take a bit longer to build as some parts are harder to get. Anyway enjoy the LDD pictures. added image with door and lockers open. 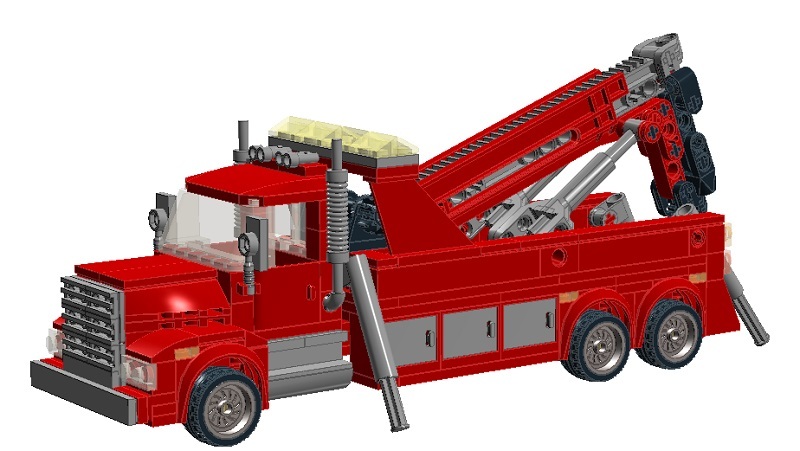 I decided that my service center needed a heavy tow truck so came up with this 8 wide design. 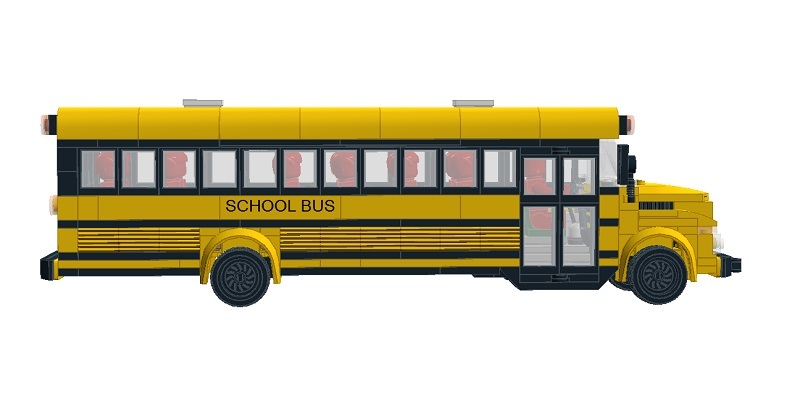 It will probably be built in a different color depending on part availability. That truck looks really cool! 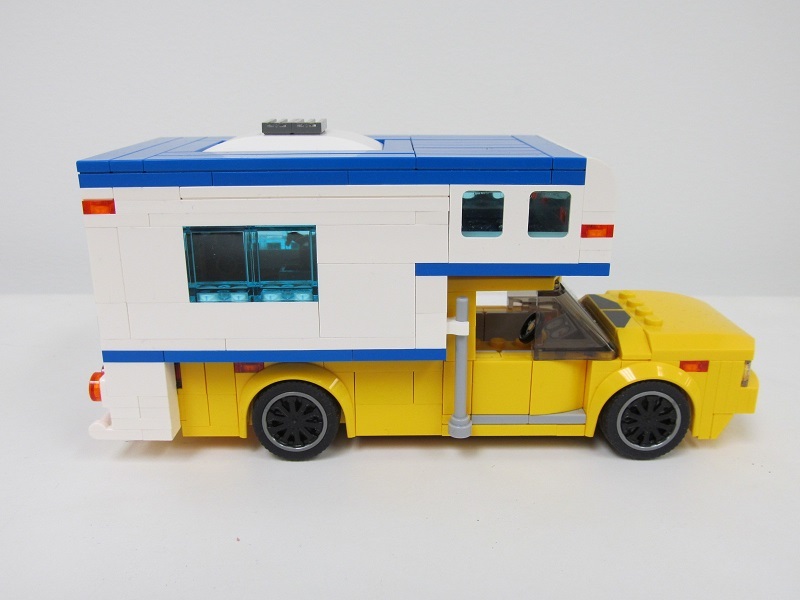 I think it is a neat feature to have it modular.